Looking for a USED 3015 EX? Today's competitive manufacturing environment demands 24/7 production from many shops. The eX series is designed to meet the needs of the most demanding shops. Built on a heavy-duty, single platform, the eX incorporates crucial improvements over the previous LVPlus II model. 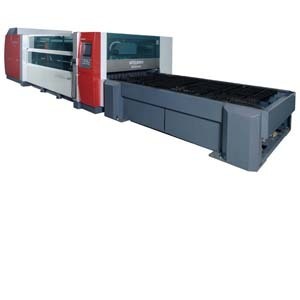 The most cost-effective machines on the market, the eX series provides faster movement, more powerful piercing and an eco mode that reduces costs while the machine is running. Looking to Purchase a New MITSUBISHI 3015 EX?